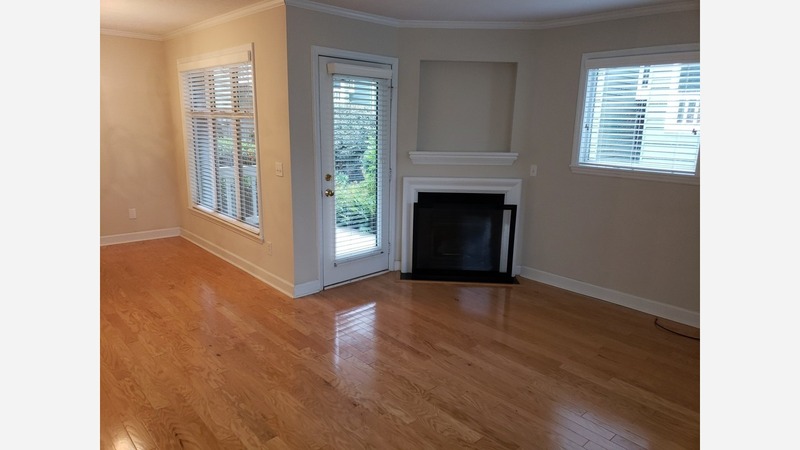 We've rounded up the latest rental listings via rental site Zumper to get a sense of what to expect when it comes to finding housing in Raleigh if you've got $1,200/month earmarked for your rent. Listed at $1,175/month, this 732-square-foot one-bedroom, one-bathroom condo is located at 1031 Nicholwood Drive, #101. The complex has outdoor space and a swimming pool. The apartment boasts hardwood floors, wooden cabinetry, a fireplace, in-unit laundry, a walk-in closet and a private patio. Animals are not permitted. Walk Score indicates that this location is moderately walkable, is fairly bikeable and has good transit options. Next, there's this one-bedroom, one-bathroom unit over at 2715 Kilgore Ave., #C. It's listed for $1,150/month for its 780 square feet of space. The building has on-site laundry, outdoor space, extra storage space and on-site management. In the unit, there's air conditioning, hardwood flooring, a ceiling fan and wooden cabinetry. Luckily for pet owners, both dogs and cats are welcome pending owner approval and additional fees. Finally, here's a 775-square-foot one-bedroom, one-bathroom apartment at 1040 Wake Towne Drive, #63401-1, that's going for $1,146/month. In the unit, you'll get hardwood floors, in-unit laundry, a ceiling fan, stainless steel appliances, granite countertops and wooden cabinetry. Building amenities include a swimming pool, an elevator, extra storage space, secured entry, a business center, a game room with billiards and a barbecue area. Both cats and dogs are permitted.